Organic ginger root, organic licorice root, organic orange peel, organic lemongrass, organic turmeric, essential lemon and orange oils. We encourage you to experiment with the quantity of tea leaves and the length of the infusion time to find your desired brew strength. Varying the water temperature isn’t recommended, as water that is too hot will over-extract the bitter components of tea, while water that is too cool might not fully draw out the aromas and flavors of tea. 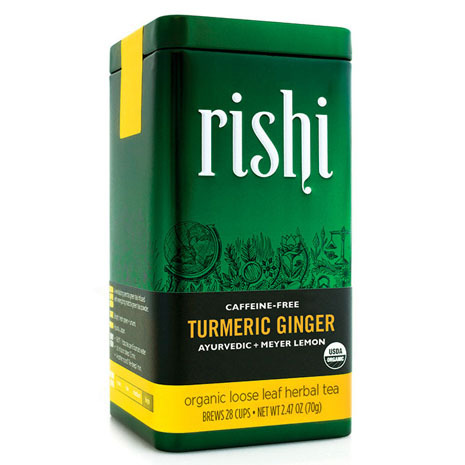 The combination of turmeric, ginger, lemon and honey is an Ayurvedic recipe for longevity, strength and balance. 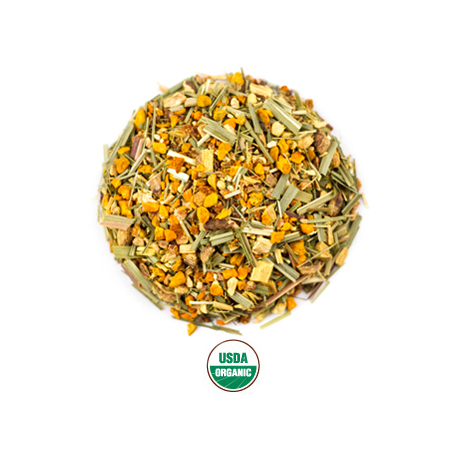 Turmeric tea and Ginger tea are perfect on their own or blended with a dash of honey and lemon. Infusing ancient herbal traditions with epicurean creativity, our Herbal Teas express our mastery in sourcing exotic herbs, spices and fruits from all over the world. These natural ingredients are hand-blended in micro-batches to harmonize and develop a refined complexity. Infusing ancient herbal traditions with epicurean creativity, our Herbal Teas express our mastery in sourcing exotic herbs, spices and fruits from all over the world. These natural ingredients are hand-blended in micro-batches to harmonize and develop a refined complexity. 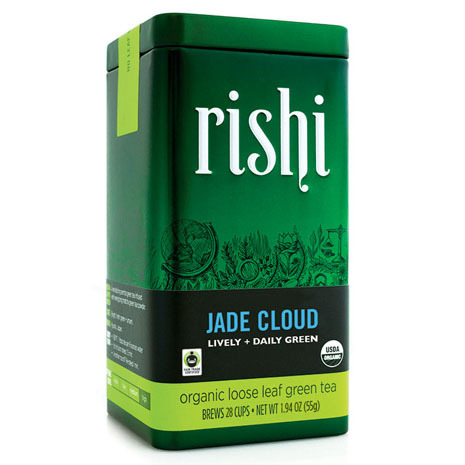 Visit our friends at Rishi Tea to learn more. 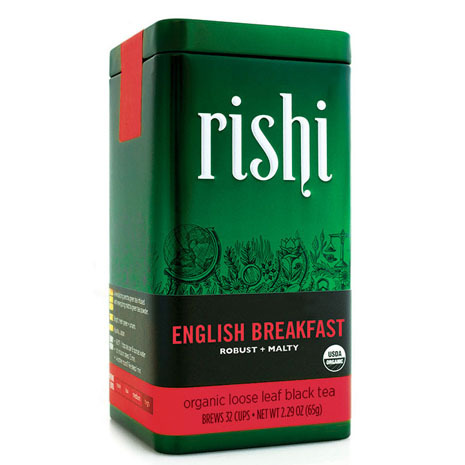 You may also enjoy our other Organic Teas.